Opening arguments in the murder trial against Gustavo Olivo-Tellez are scheduled to begin Monday morning after a weeklong jury selection process. Prosecuting and defense attorneys settled on a 16-member jury Friday, which includes 12 primary and four alternate jurors. All 16 were sworn in Friday afternoon. The case against Olivo-Tellez charges him with killing his estranged wife, Blanca Salas-Jurado, in October 2016. It has had a long road to trial, after Olivo-Tellez first pleaded not guilty in June 2017. Ninth District Attorney Jeff Cheney maintains that Olivo-Tellez’ alleged accomplice and then-girlfriend, Michelle Castillo, assisted in the murder. Castillo pleaded guilty to accessory murder in the death of Salas-Jurado in December 2017, and Olivo-Tellez then pleaded not guilty by reason of insanity in April 2018. The insanity plea requires a mental health evaluation, which was conducted last May by the Colorado Department of Behavioral Health, after which Olivo-Tellez re-entered a not-guilty plea and the case was set for trial. During a motions hearing in December, prosecutors and defense attorneys, led by Garth McCarty, agreed that what Olivo-Tellez said in the video-taped mental health evaluation will not be admissible during the trial, unless the defense attorneys bring it into evidence. Prosecutors have transported Castillo to the Garfield County Jail from a Colorado corrections facility on the Front Range to be a witness for the trial. She is serving a 16-year sentence. In an order on defense motions, Ninth District Judge John Neiley ruled that prosecutors are allowed to make a case for Olivo-Tellez’ alleged motives based on circumstantial evidence, like when the firearm used to shoot Salas-Jurado was acquired and how. Defense attorney’s made the case that simply purchasing a weapon was insufficient to determine motive and was therefore prejudicial under the Constitutional right to bear arms. 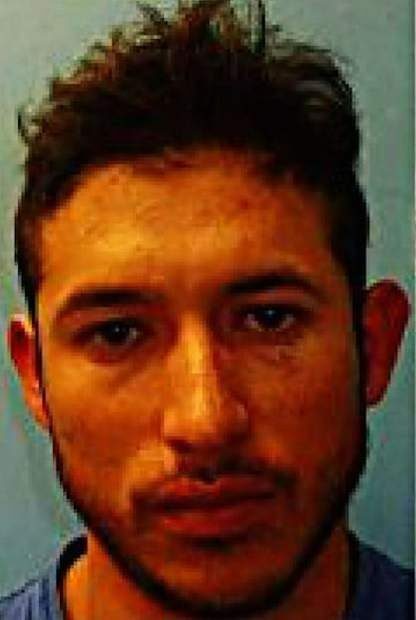 Prosecutors claim that after the shooting at Salas-Jurado’s apartment, Olivo-Tellez ditched the gun and ammunition in the Roaring Fork River and fled with Castillo, who also may have assisted in acquiring ammunition used in the shooting. According to arresting documents, Castillo dropped off Olivo-Tellez’ son with family in Grand Junction, then rendezvoused with Olivo-Tellez before getting arrested at a Grand Junction hotel a day after the alleged murder. At the December motions hearing, prosecutors agreed not to present evidence that the child was in the room, or in the apartment, at the time of the alleged shooting.